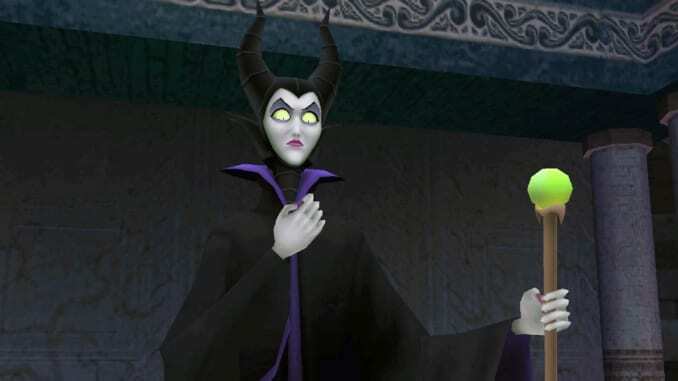 Information about the wicked Disney character Maleficent from Sleeping Beauty and Kingdom Hearts. Included in this article is her origins as well as her actions during the course of the Dark Seeker Saga. 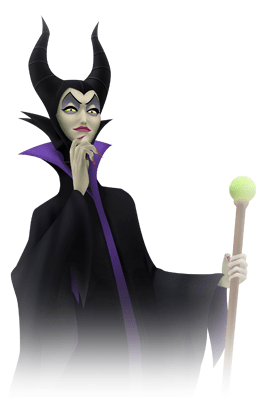 Maleficent may play a big role in the upcoming game, as her plans are not yet fully realized. Her goal in the series is to rule over all Disney worlds, and in order for her to do that she must harness the power of Kingdom Hearts. She always served as a minor villain in the series, but will she steal the spotlight from Master Xehanort once the Dark Seeker Saga ends? Maleficent first appears in the Book of Prophecies, which contains events that will happen in the future. Fast forward to the events of Kingdom Hearts χ, Maleficent’s curse to Aurora finally takes effect. However, instead of dying, Merryweather alters the curse’s effects so that Aurora just falls into a deep sleep which can only be broken by a kiss of true love. The three good fairies, Merryweather, Flora, and Fauna, then hid Aurora from Maleficent. 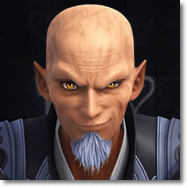 Before the events of Kingdom Hearts: Birth by Sleep, Maleficent met Master Xehanort. The Keyblade Master tells her that there are other worlds beside hers, in which seven Princesses of Heart are living. These Princesses of Heart can be used to conquer all worlds. This sparks the interest of Maleficent as she aspires to rule any kingdom she sees. With this new information in her hands, Maleficent travels to different worlds in search of the seven Princesses of Heart. She eventually meets Pete during her journey, who acts as a loyal servant to her and her plans. With the help of Pete, she is also able to convince Captain Hook, Oogie Boogie, Ursula, and Jafar to join her. Using their powers to control the Heartless, this group of Disney Villains will stop at nothing to find the Princesses of Heart and gain unlimited power. 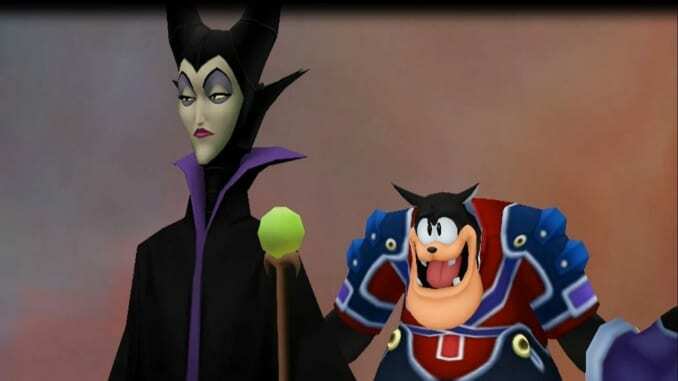 Maleficent is also a guardian for Riku during the events of the first game. 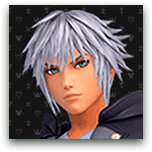 She lures Riku into succumbing to the darkness inside his heart, enabling Ansem to possess his body and help her achieve her goal of capturing Kingdom Hearts. However, Ansem betrays her and stabs her with Riku’s Keyblade. The stab unlocked the darkness in her heart, which transforms her into a dark dragon. Sora then defeats the dragon, turning her back to her original form. Unbeknownst to anybody, the unlocked darkness in Maleficent’s heart also enabled her to travel through time. She then traveled to the past, before Aurora’s curse took effect. Her future self aims to rewrite history so that she can achieve victory, but a mysterious person prevents her from accomplishing her plan. In Kingdom Hearts 2, after being revived by her pet raven, Maleficent continues her plan to rule all worlds while exacting revenge on Sora. She recruits Lock, Shock, and Barrel from the Nightmare before Christmas and the Gullwings from Final Fantasy X-2 to be her servants, but all of them fail her in the end. When Hollow Bastion is invaded by Nobodies, she summons a number of Heartless to stop them. 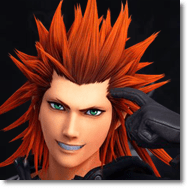 However, the forces of Nobodies is too strong for her army, so she provokes the enemies to attack Sora’s party who is nearby. Saïx enters the battlefield and reveals Organization XIII’s plan to control Kingdom Hearts. Maleficent then defended Sora against Saïx’s minions, telling him that he must stop Organization XIII, as she should be the only one who can use Kingdom Hearts. After defeating the minions, Maleficent and Pete went to the Castle That Never Was in hopes of infiltrating it while the Organization is busy dealing with Sora. The Castle That Never Was is destroyed after the battle between Sora and Xemnas. After failing to take over the Castle That Never Was and the other worlds, she sets her eyes on the data world, which she found out about after learning about the Datascape. The Datascape was a result of King Mickey trying to analyze the contents of Jiminy’s Journal. King Mickey digitizes the contents of the journal, creating digital versions of worlds that Sora visited in his adventure. Data-Riku and Data-Sora thwart her mission by defeating her inside the Datascape. The Datascape starts to collapse after the battle with Maleficent and Pete still inside. Data-Sora then goes back to the Datascape to find them. 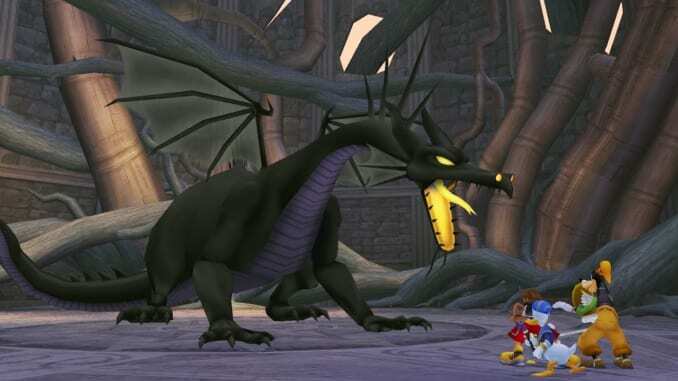 Pete and Maleficent are in a battle against Sora’s Heartless, the source of the journal’s bugs. Data-Riku and Data-Sora rescue the two and lead them to the Datascape’s exit. However, the Datascape’s destruction didn’t stop Maleficent from planning to conquer the digital world. She vows to steal the Datascape’s data and create a world where she is the ruler of all.